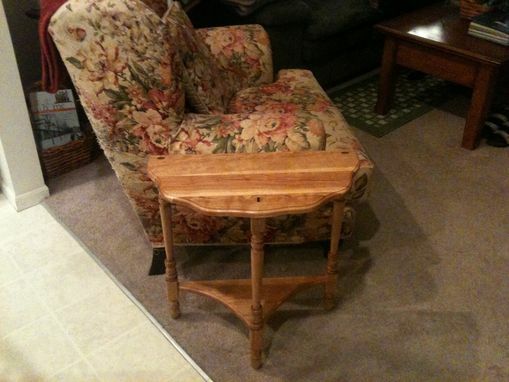 Designed and made to match a favorite side chair for the customer, this 3-Legged Side Table is made entirely of cherry. 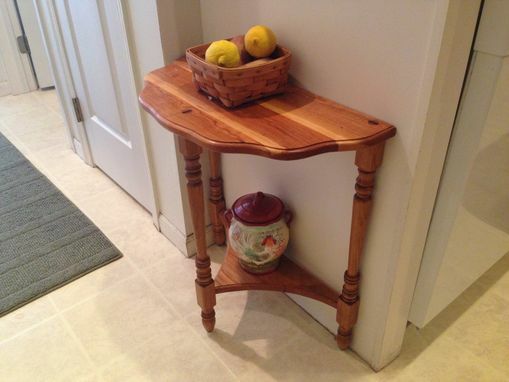 The design is a copy of a side table that the customer has, but it is a painted table. Accurate measurements were taken and the 3 legs for the table turned on the lathe. 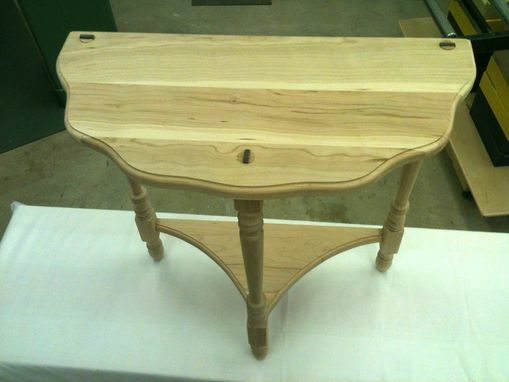 The scalloped-shaped table top was glued up from several narrow cherry boards that included both the heartwood and sapwood, as per the customers request. The legs are securely glued in the table top, and further reinforced with walnut wedges. 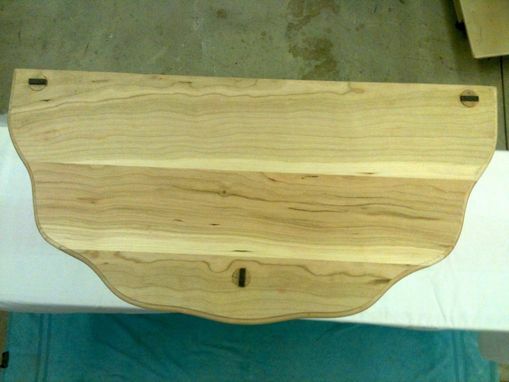 The table was given several coats of a mix of Danish wood oil/polyuretane mix, lightly sanded between coats, and rubbed to a satin sheen with wax.